I gifted a trip to Disney World to my mom, sister and sister-in-law last Christmas. 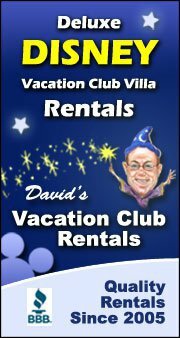 When my husband and I joined the Disney Vacation Club (DVC) we knew we would want share our love of Disney with our family for many years to come. I was so excited to be able to surprise these three amazing women with a trip to Disney World. I put much love and detail into planning this trip! Here’s some tips on how to make a Girls Only trip to Disney extra special! As far as planning went, I paid for the resort (DVC), getting there (we drove in my CRV) and food (I saved up a while for this one). The only thing I had them cover was their tickets to the park. I saved by keeping a physical envelope designated for the trip. You can also use a jar. I’ve found keeping it on display reminds you what you are saving for. I’d put gift cards I got as gifts to Target in it. I get them sometimes as a teacher gift. I shop at Target frequently, so whenever I’d get one of the deals where you buy something and get a Target gift card, I’d throw those in too. I’d also throw in cash whenever someone paid me back for something in the envelope too. I also have a Disney Visa that we use to pay for groceries and gas every month, so I was able to rack up about $50 in rewards on that card since my last Disney trip too. All in all, I saved about $500 and was able to then go to Target to purchase Disney gift cards with my Target red card and got $500 with a 5% discount, which meant I paid $475 dollars for $500 worth of gift cards! I narrowed the choice of resort down to three, Animal Kingdom, Boardwalk and Old Key West and let them choose which they wanted to stay at. We decided on Old Key West as there are two queen beds in the studio room and it would be the comfiest amount of space for four adults. Check out my review of the Old Key West resort and check back later in November for a review of the Olivia’s Cafe Restaurant. We ended up deciding to go September 24th through 29th, 2017. We waited it out to see if there would be a good ticket discount and a good deal popped up mid-summer for a 4 day, one park a day pass for $79 a day. I planned out most of the details of our trip myself and consulted my family on restaurants and rides they wanted to do. But, I controlled the My Disney Experience app and organized our days. I used my Ultimate Disney World Planning Guide sheets to organize our plans. Check out my post on How to Plan a Disney World Vacation for more details on planning your dream Disney vacation. You can also plan a Girl’s Trip to Disney World that isn’t gifted by having everyone split the cost of the room. You can easily find Value and Moderate level resorts with two queen size beds or upgrade to a Deluxe resort like Old Key West that will cost much less split among four adults. I still recommend having one person in charge of most of the planning aspects. I found out who each ladies’ favorite Disney Princess was. Mine is Aurora (Sleeping Beauty), my sister Melanie’s is Belle (Beauty and the Beast), my sister-in-law Paige’s is Ariel (Little Mermaid) and my mom Cheryl’s is Cinderella. I first chose a customized Magic Band color specific to their Disney Princess on My Disney Experience. I went with pink for Aurora, blue for Cinderella, yellow for Belle and green for Ariel. I then added some sparkle to each using glitter nail polish and clear nail polish top coat. This will not hurt the bands or prevent them from working in any way. I’ve been doing this to my bands for over a year now! I then personalized even farther by checking out Etsy for Princess specific items for our trip! For Ariel, she really has three colors, red, green and purple. So, since the bag was red with green writing, I got her Magic Band and ears in green. I added a few extra “princess” items to their bag that I found inexpensively. The glitter cosmetic bags were found at the Dollartree. I also found Disney Princess chap-stick at Five Below! I put everything together and gifted them in white bags with color specific tissue paper! I also included some hand sanitizer (Dollartree) and mini tissue packs. I also wrote each an individualized letter telling them how much I love and appreciate them and gave them a Disney Trip Allowance Certificate for souvenirs and snacks. I’ve added Minnie themed stationary paper and the Allowance Certificate in my Planning Bundle pages. We had so much fun on this Disney Trip! I didn’t become the schedule Nazi. I planned out our days using my planning pages, but once we got there I left the planning pages in the room and just went by the app. Once we were at the park, we had a plan, but also just went with the flow. For the ride down I downloaded Disney Songs albums on Spotify and printed out Trivia and Would You Rather Disney themed games. We just enjoyed ourselves and let ourselves be kids again! It was truly an experience we’ll never forget and will always cherish. Have you planned family trips to Disney? Share your favorite moments in the comments section below! This entry was posted in Disney World and tagged animal kingdom, ariel, aurora, beauty and the beast, belle, cinderella, coordinate, coordinate like a princess, disney planning, disney planning pages, disney princess, Disney World, epcot, epic, girls trip, hollywood studios, how to, little mermaid, magic kingdom, minnie ears, old key west, old key west resort, planning, princess, princess accessories, sleeping beauty.